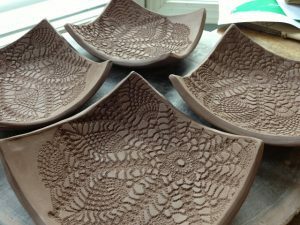 Learn to sculpt beautiful clay vessels with instructor Denise Ralston. Basic handbuilding methods of coiling, pinching, and slab building will be covered in class, and demonstrations will be given on creating texture and surface finishing. Bring your ideas and the instructor will help you to realize your creative dreams!